If you’ve been waiting for an electric SUV from Tesla, your wait is nearly over. 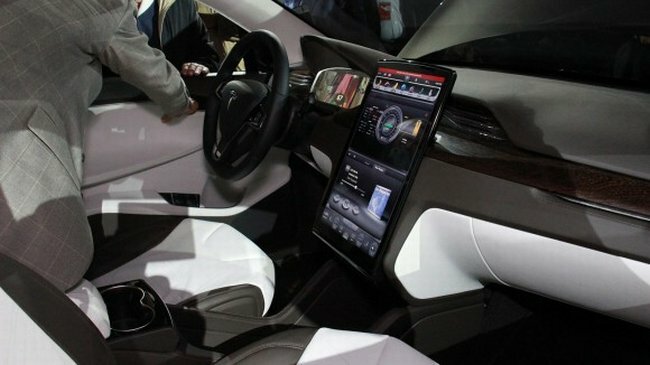 The Tesla Model X will hit stores in 2014, boasting all new tech with a touchscreen dashboard to boot. Its external structure offers a falcon-wing like design on its rear doors. The new Model X SUV has a 17-inch touchscreen dashboard which serves as its central console for connecting to the internet (but don’t tweet and drive). It has GPS active while driving as well as a multimedia stereo with a voice recognition program installed. Instead of numerous knobs and switches, this Tesla SUV has this panel as a controller of its entertainment system. This car isn’t yet fully out in the market, only for pre-order basis. Apparently, it costs around $50,000 together with US government subsidies. The company announced that this car would not be released yet not sooner than 2013 or in the earlier part of 2014. If you had the cash (as well as electric charging stations in your city), would you get one of these?